van Lieshout, M.N.M. (2016). 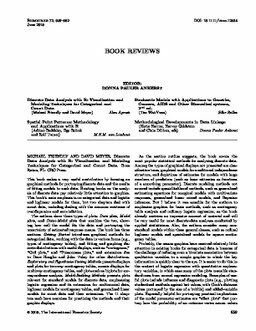 Review of `Spatial point patterns: Methodology and applications with R' by A. Baddeley, E. Rubak and R. Turner. Biometrics, 72, 660–661.